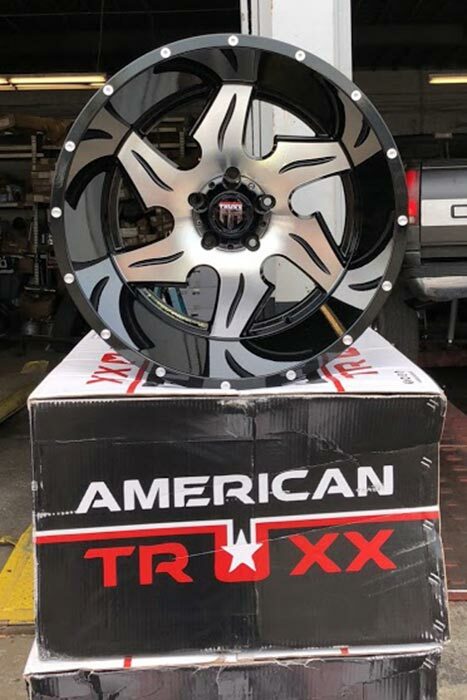 We sell all the most popular brands of wheels and tires at American Bedliners Custom Truck Shop. 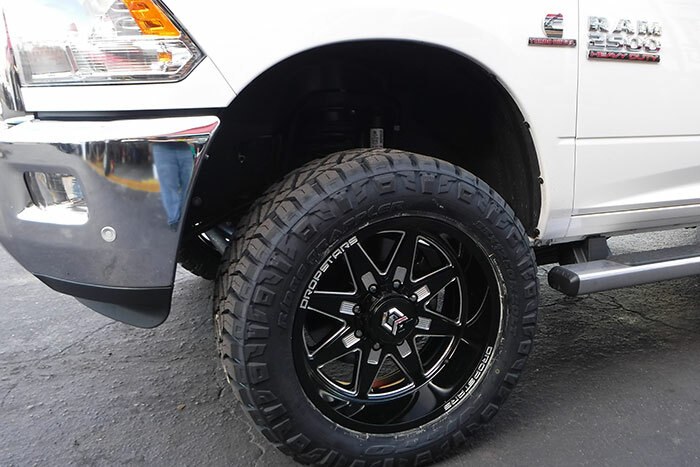 We are highly skilled at large tire and wheel fitment, mounting, and balancing. 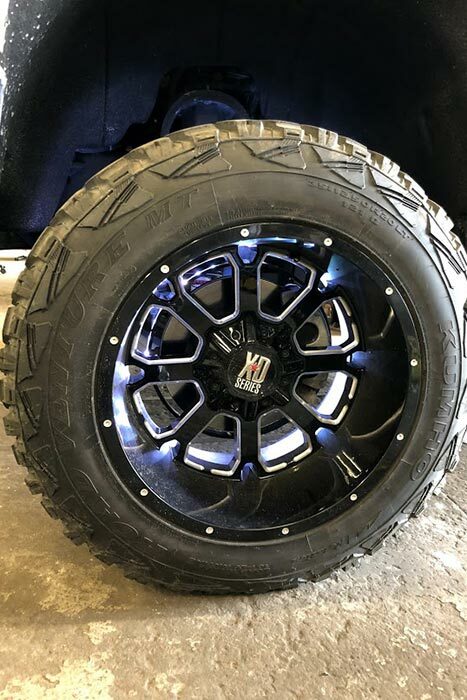 Our expert technicians use a state-of-the-art hub mount tire machine which allows us to work with the largest tires and most expensive wheels, without risk of damage to either. 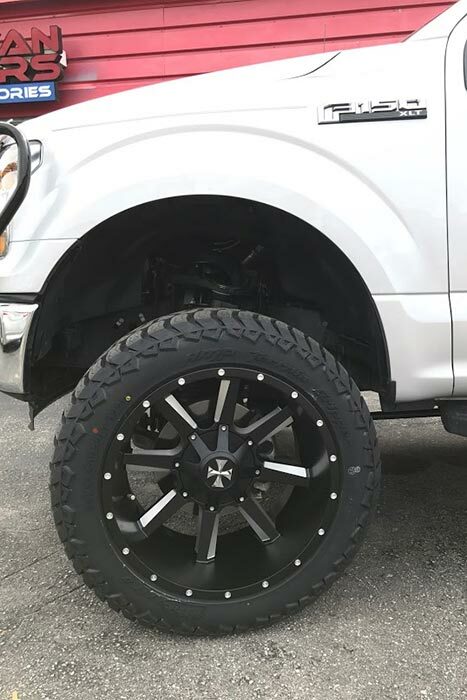 The wheel balancer we use utilizes cutting-edge Virtual Plane Imaging (VPI) measurements and laser imaging to capture the profile of the wheel. 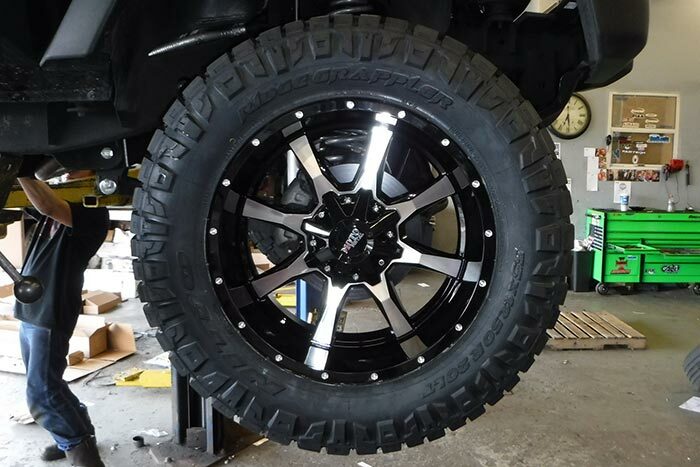 This machine is also calibrated specifically for larger Jeep and truck wheels and tires. 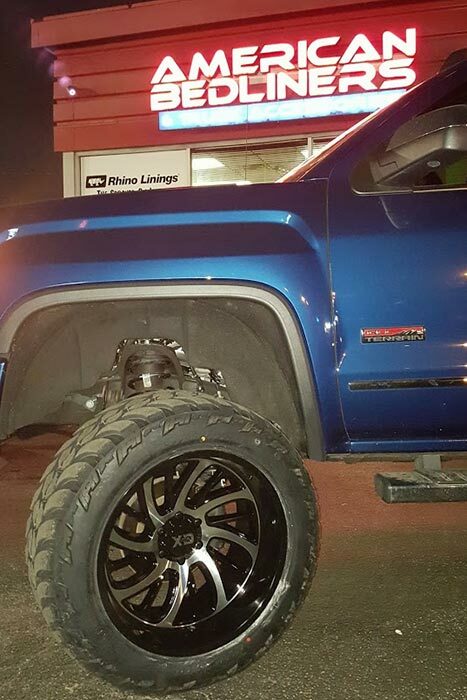 We do wheel and tire services your local shop can’t offer. 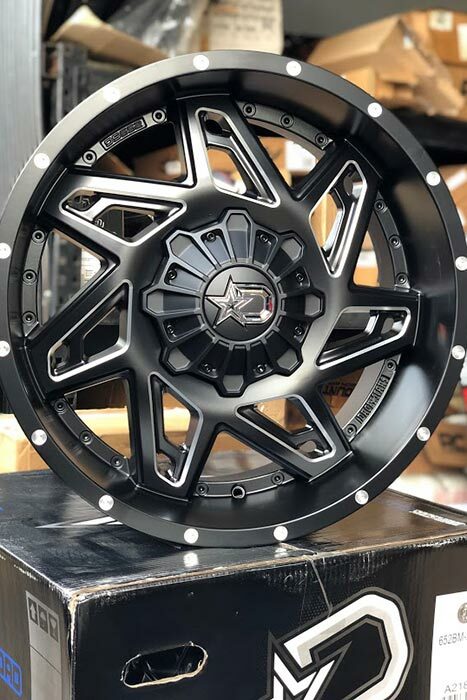 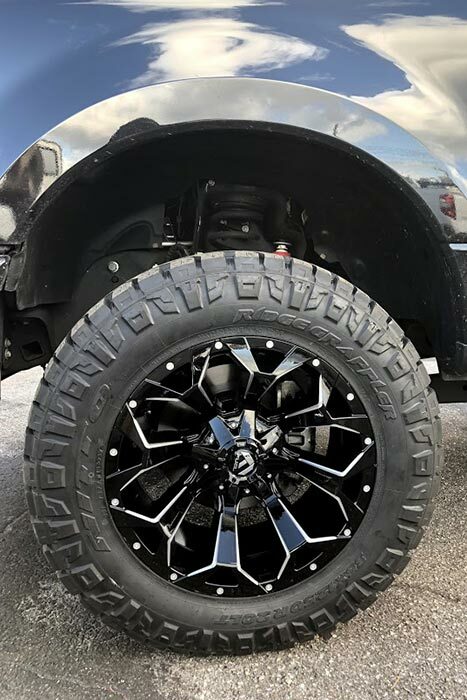 The expert technicians at American Bedliners Custom Truck Shop work with many different styles of wheels to ensure you get the desired look for your Jeep or truck. 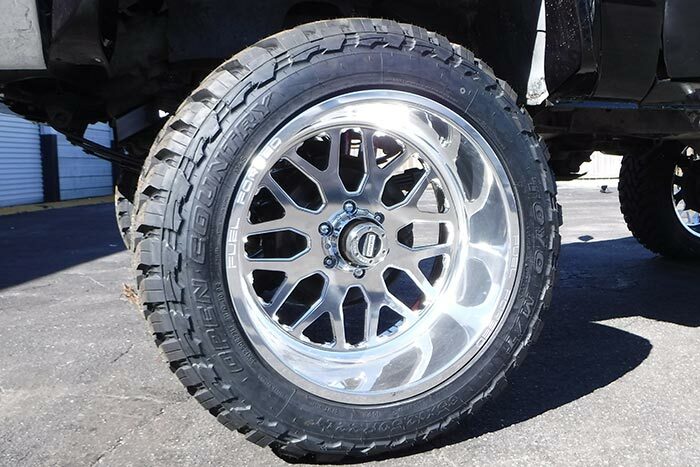 The most common wheel type is cast aluminum. 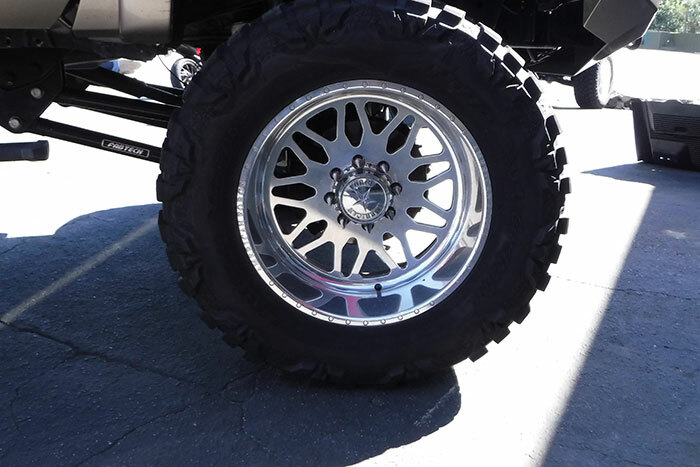 While it’s a heavier build, the sturdiness makes it a good wheel option. 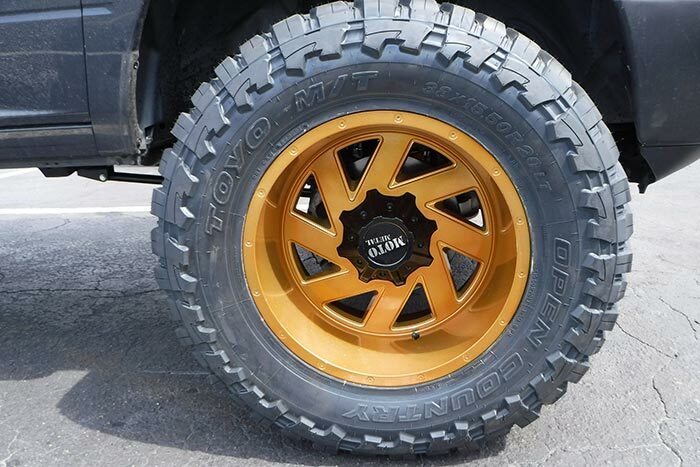 It is also the more cost-effective type of wheel. 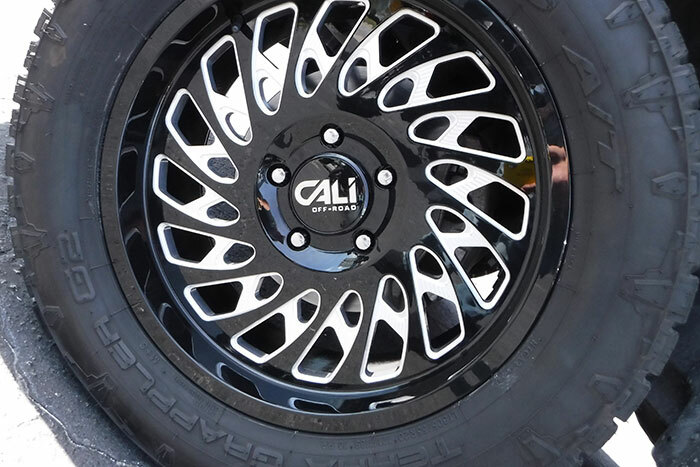 Two-piece alloy wheels offer stunning designs and can help hold weight better for heavier vehicles. 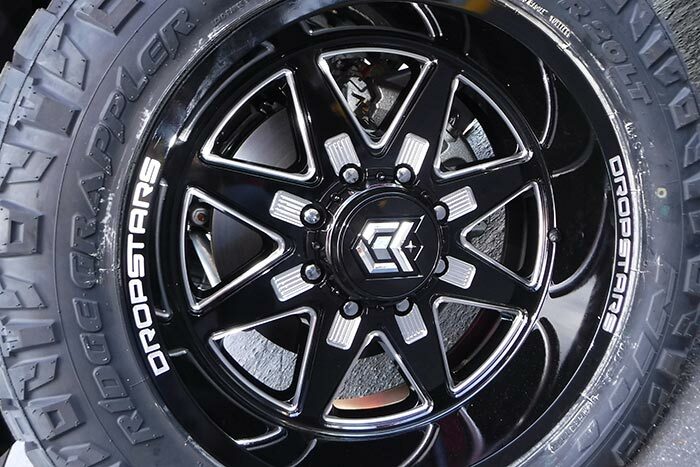 Monoblock forged wheels will assist by lightening the overall load of the truck. 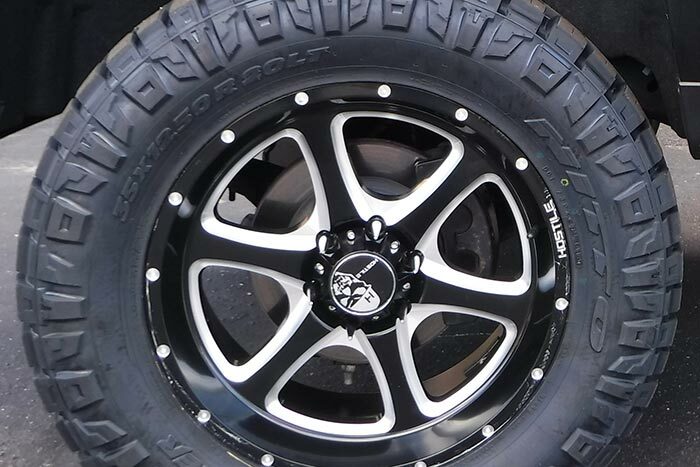 Forged wheels are also stronger than cast and will stand the test of time and bumps in the road. 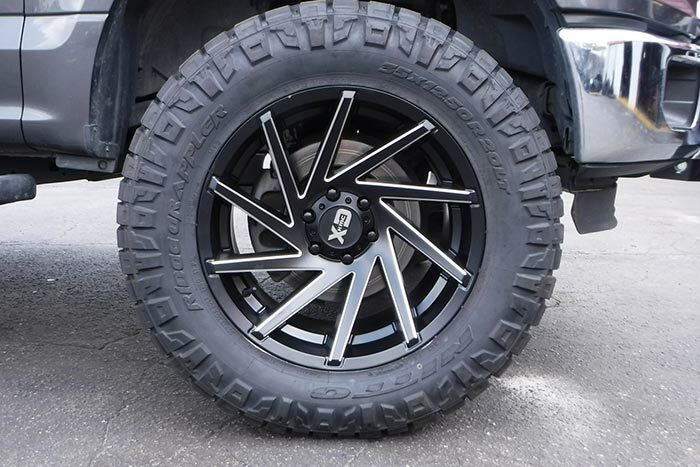 We also exclusively work with the best manufacturers in the industry for any of these types of wheels. 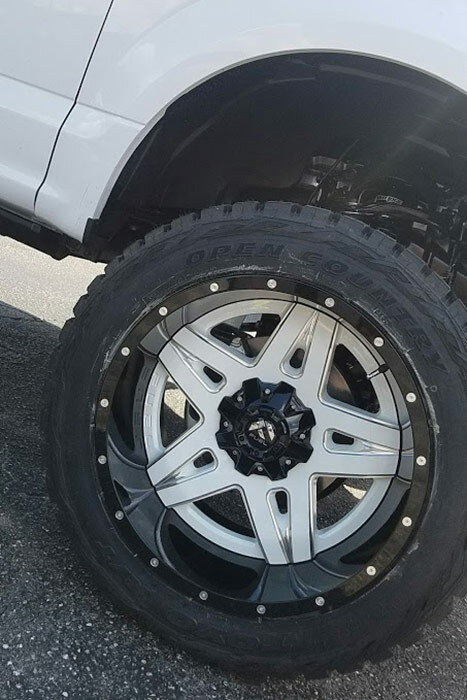 American Bedliners Custom Truck Shop has experience with running many different tires ourselves. 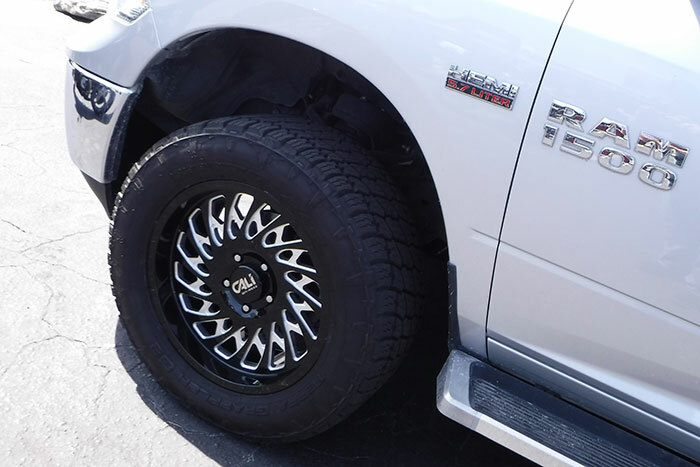 If we don’t carry tires for your specific intent our friendly, professional customer service staff will help find it and bring it in. 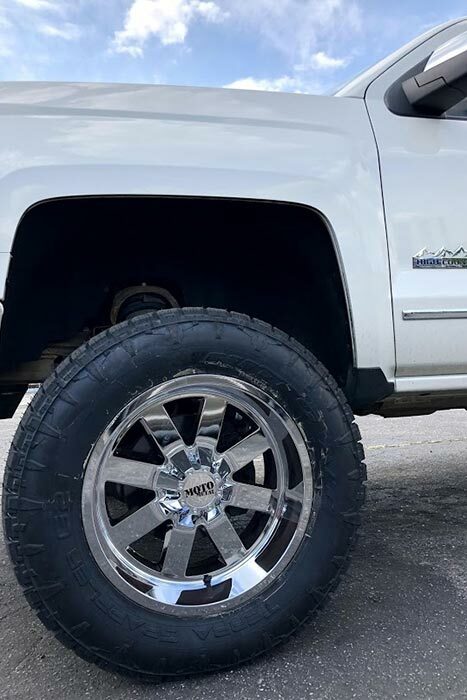 We are always happy to get feedback from our customers to help grow our selection for North Florida.